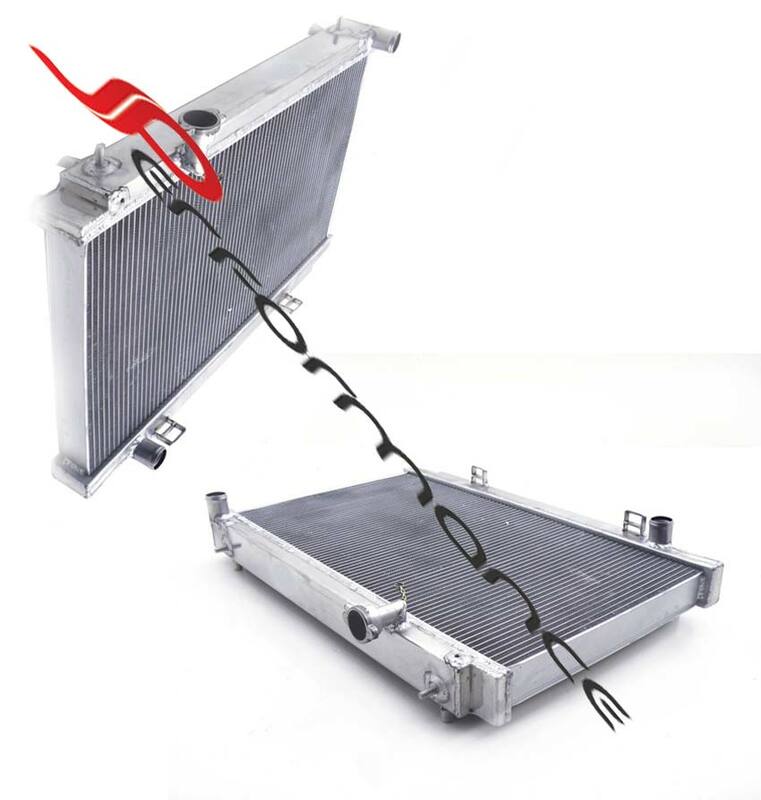 Complementing the line of high-performance upgrades and intercooler kits, we can now supply a Radiator were designed to provide maximum cooling efficiency to prevent premature engine failure. These Radiators are full light-weight, high-heat transferring aluminum featuring a tube & fin design that dramatically increases surface area that enables the heat to dissipate more efficiently, this Radiator is 30% more efficient than stock. This is a hand made, custom built performance radiator made from aircraft grade 5052 aluminum. Complete with polished upper/lower end tanks and Temperature-Sensor Port, this Radiator aesthetically appeasing and a direct bolt-on application.